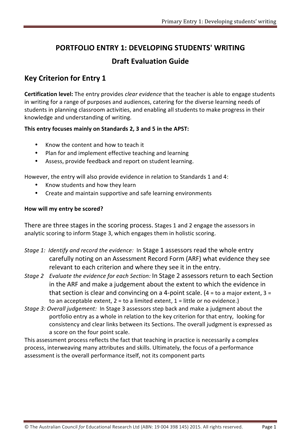 Four independent performance assessment tasks have been prepared, which together provide evidence covering the APST standards, relevant curriculum areas and core teaching skills. 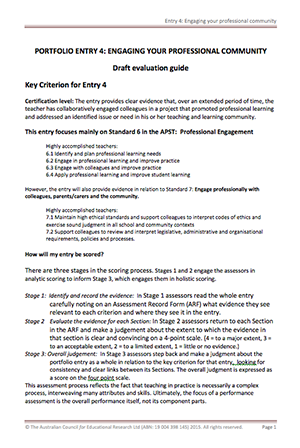 a guide to the organisation of your entry in preparation for electronic submission. 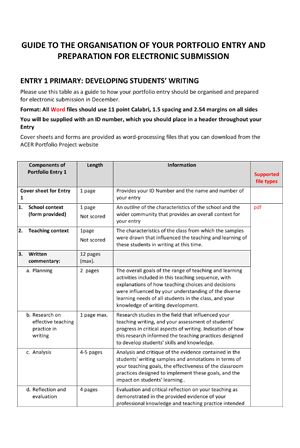 The first entry is based on samples of student work over time. 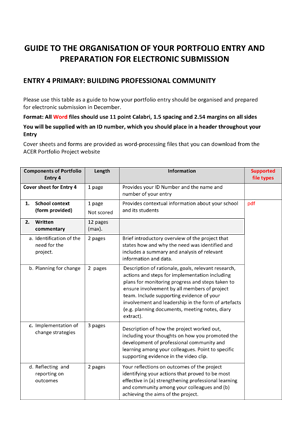 The second and third are based on video recordings and the fourth is based on documented accomplishments in the school community. 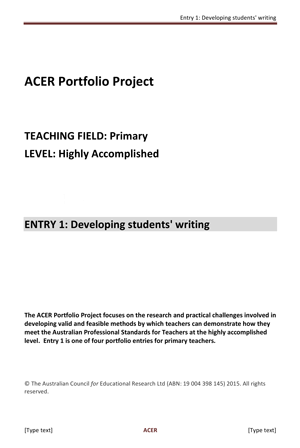 This portfolio entry invites a teacher to demonstrate how he or she teaches students to develop their capacities in writing for a range of audiences and purposes. 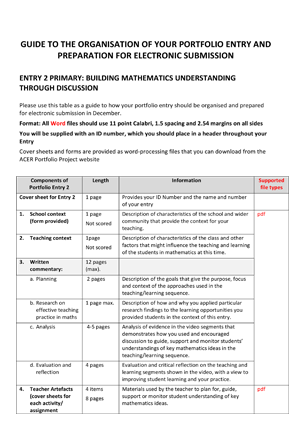 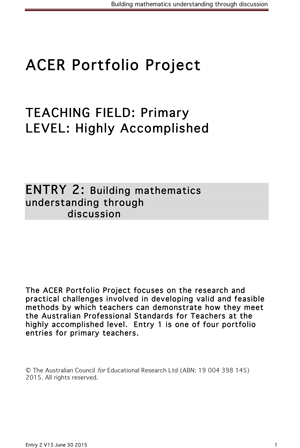 This portfolio entry invites a teacher to demonstrate how he or she builds students’ knowledge and conceptual understanding of important mathematics content through quality class discussion. 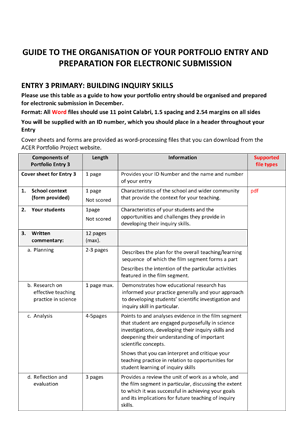 This portfolio entry invites a teacher to demonstrate how he or she engages students in collaborative investigations that strengthen their inquiry skills and deepen their conceptual understanding, as described in the Australian Curriculum. 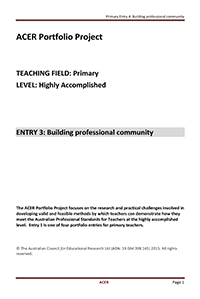 This portfolio task invites teachers to initiate and manage a project designed to improve teaching practice and learning opportunities for students in their school or cluster of schools. 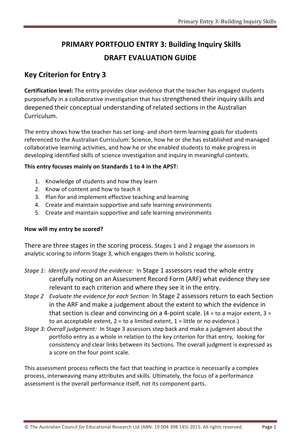 Why do the field test? 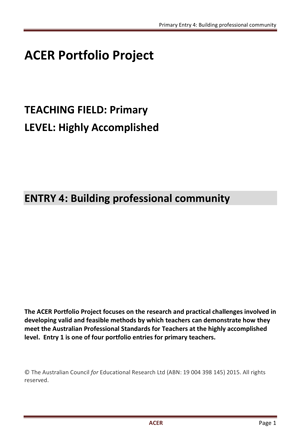 How will it help the profession? 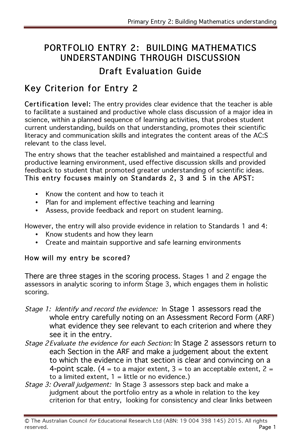 What are fully developed teaching standards?